edm for video games | Sonic Smash-Music! Composer and visionary Joseph Paul Freije has released his second album of the 2016 summer, “Electric Phlower.” The album contains 14 original Freije tracks for an approximate total listening time of 50 minutes. Like his other records, “Electric Phlower” has been proudly published on the Phrygian Music independent record label without the direction or support of the corporate music industry. Upbeat, energizing, and entirely fun, “Electric Phlower” is electronic dance music for the youthfulness in all of us. Phrygian Music’s Joseph P. Freije is an eclectic experimental composer with a wider variety of original music in his repertoire than most highly creative musicians working today. He has composed music in categories as disparate as jazz, electronica, pop, adult contemporary, EDM, experimental, rock, and yet more. 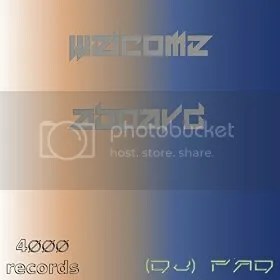 He is also one of today’s most prolific independent musicians. “Electric Phlower” represents the second of six full-length records from Freije which will be made available in 2016 (four this summer alone). This sonic medicine and raison d’être is especially invigorating in “Electric Phlower,” as it is 100% undiluted dance music, the most danceable record to come from Freije yet. While the sound of it may surprise some of his most loyal fans, Freije’s personality still shines throughout, elucidating yet another facet of his ever-unfolding character. It may be hard to imagine the avant-garde composer of jazz and experimental piano himself on the dancefloor, but the truth is it’s close to his heart. It’s a feeling “Electric Phlower” communicates directly. The album doesn’t just give the listener a reason to move, to groove, to shuck and jive – it empowers the dancer to make an instrument of the body and join the orchestra in a celebration of being alive. 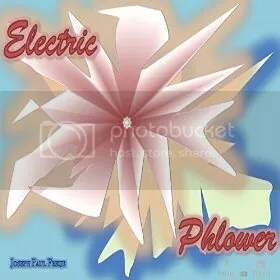 “Electric Phlower” by Joseph Paul Freije is available online worldwide at over 700 online music stores now. Be sure also to hear “Elements of Evidence,” also available for listening and download now.